The Florida city of Miami is to become the second “hub office” for deVere USA, the deVere Group has announced. 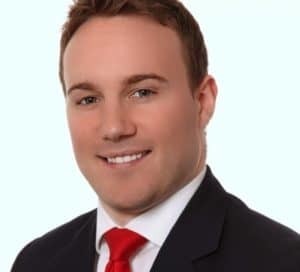 DeVere has had a presence in Miami since June 2011, but has now moved to larger premises in the city’s main financial district in order to accommodate more advisers, which it said it needed to meet a growing demand for its services in the market. 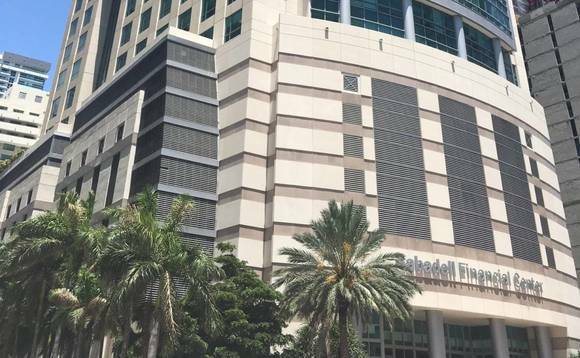 DeVere’s new Miami office is located in the Sabadell Financial Center building (pictured) on Brickell Avenue in Miami’s Brickell district, which, according to deVere, is well-known for “having the largest concentration of international financial institutions in the US”. Devere Miami area manager Gareth Jones (below) said New York would remain the US operation’s headquarters and “super hub office”, but that the demand for deVere services “across the US has driven the need for another hub office, from which advisers can help our growing numbers of US-based clients”. Jones noted that deVere has decided against going ahead with a plan – originally announced in 2013, as part of a larger corporate growth strategy – to open a pan-American network of offices, and instead would focus on creating hub offices in a few key cities, from which its consultants would look after clients over a wider geographical area. The New York office, which was opened in 2011, the year Dubai-based deVere set up deVere USA, was the company’s first US outpost, while a San Francisco office opened in 2014, three years after Miami. For now, San Francisco is set to remain an ordinary office, focused on clients in the immediate vicinity, deVere said. However, Benjamin Alderson, senior area manager of deVere USA, said it could become another “super hub” potentially, “if the market conditions are right” and demand for the company’s services continues to grow at its current rate. The DeVere Group claims to be the world’s largest independent financial advisory firm specialising in looking after expatriates. It was founded in Hong Kong in 2002 by Nigel Green, who remains its chief executive.